I have heard so much about Jiufen. Missed visiting it on our first trip to Taipei. 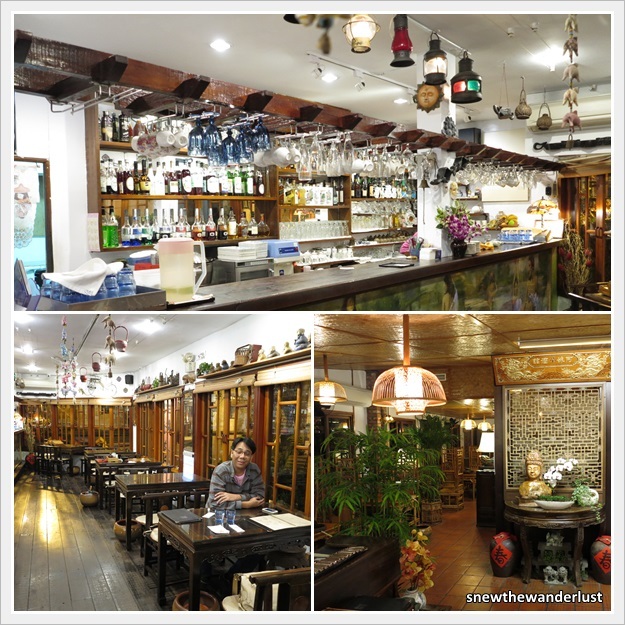 Hence, I decided that we not only needed to make a trip there, but also spend two nights at the Mingsu 民宿 (bed & breakfast). 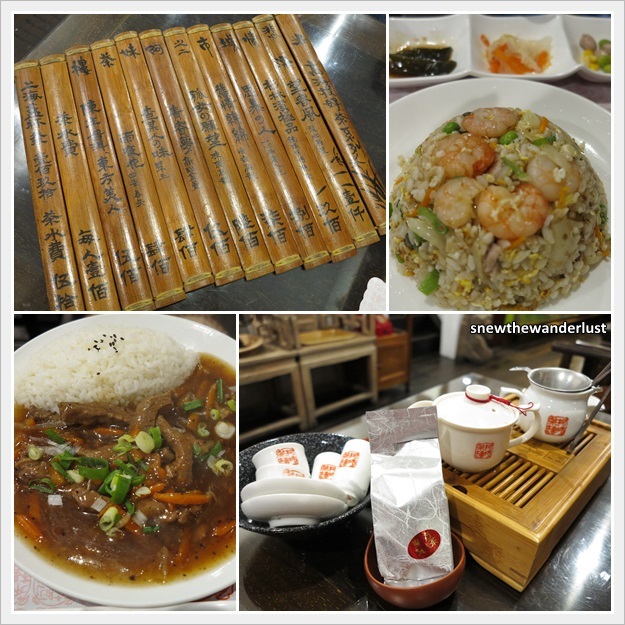 Jiufen 九份, sometimes spelled as Chiufen or Jioufen is about 1 to 1.5hours from Taipei. 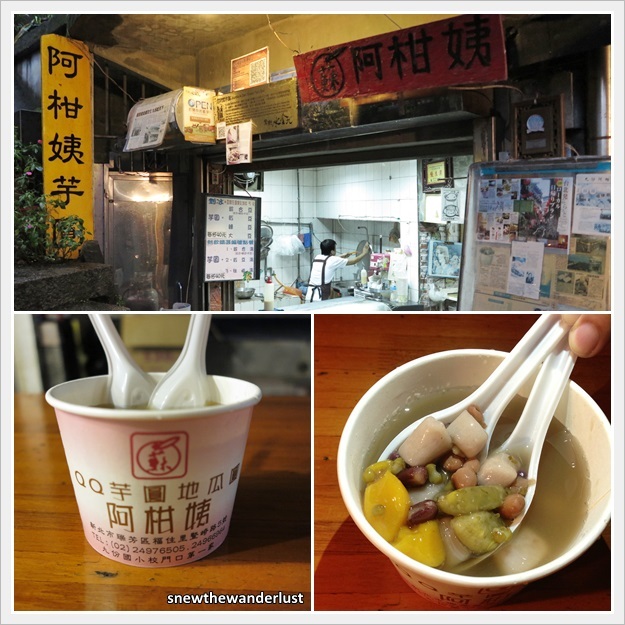 There are two ways to get to Jiufen from Taipei. One way is by Keelung 基隆 bus 1062, heading towards Jinguashi 金瓜石 outside Zhongxiao Fuxing 忠孝復興 MRT Station Exit 1. Travelling by bus would probably takes about 1.5hours. The second way is taking a 45-minute train journey from Taipei Main Station and then change to a 15-minute bus ride from Ruifang Station. This is a faster way, and the route we took. For more information on how to go about this route, refer to my post on Ruifang 瑞芳. It was raining slightly when we reached Jiufen. Like what most other tourists did as they alighted the bus, was to buy an umbrella at a stall just infront of the bus-stop. A long umbreall was only NT100 (S$4). Armed with the umbrella and luggage, we proceeded to look for our Mingsu 民宿 at Windsor B&B 温莎堡景观民宿 (which I will blog on separately). Because of the rain, there was not much of a view, only misty and foggy sight. Luckily, I manage to shoot a better shot of Jiufen when the weather clears up. We started exploring Jiufen after taking a short rest. 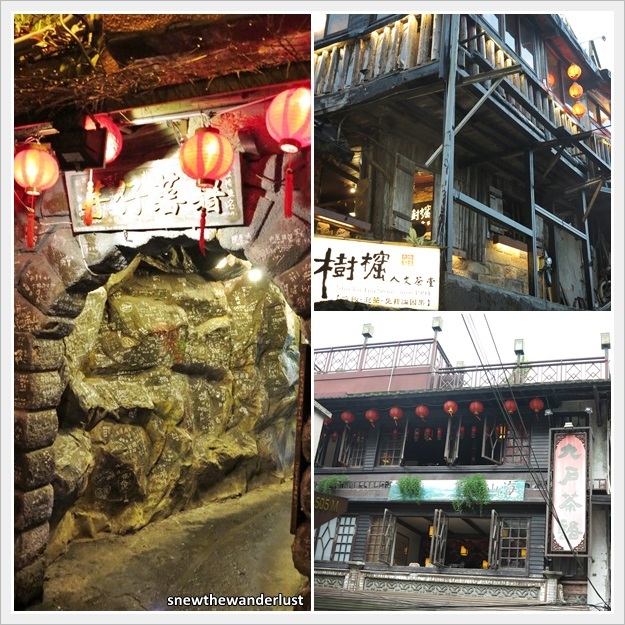 Jiufen is characterized by it's windy streets and steps with shops and eateries on both sides. If you are staying overnight at Jiufen, I would recommend to leave the suitcase at the Taipei hotel and just bring a hand luggage with necessities for your stay at Jiufen only. You wouldn't want to be carrying big luggage up and down the narrow streets and flight of steps. These two shops - 九份传统鱼丸 and 九份老面店 is recommended by Windsor B&B. The beef noodles served at 九份老面店 is not bad. We mistaken the first corner shop at the start of the Jiufen street to be the shop that was recommended. Although there were many tourists in that shop (probably due to its prominent location), it was not as good this one. 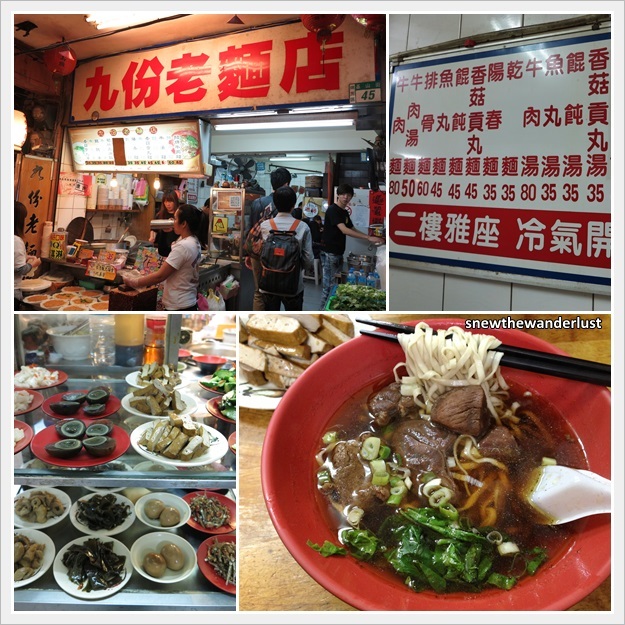 However, the best beef noodle in Taipei is at Yongkang Street (which I will blog about it later). Up next is the battle of Taro Balls 芋丸. 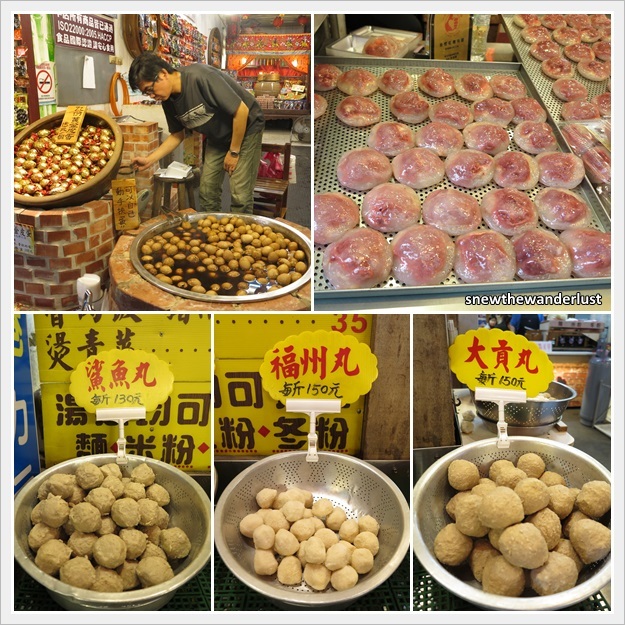 The Taro rice balls is something similar to Singapore glutinous rice balls 汤圆. The Taro Balls here are smaller in size, serve in a mixture of sweet potato and taro balls, cooked in sweet soup, instead of ginger or peanut soup. The texture of the balls is also different, which is difficult to describe in words. So, the only way is to try it! First is Lai Ah Po Yu Yuan 赖阿婆芋圆. This is a very popular shop, occupying 3 shop space at the main Jiufen Street. The other popular one is Ah Gan Yi Yu Yuan 阿柑姨芋圆. This is a staircase up from the main Jiufen street, in what looks like a dilapidated shop. After we enter the shop and purchase a bowl, we have to walk deeper into a path, leading to the seating area. So VERDICT?? Both selling at NT50 (S$2.20), I prefer Ah Gan Yi Yu Yuan 阿柑姨芋圆 for the richer yam flavour. However, Papa Snew prefer Lai Ah Po Yu Yuan 赖阿婆芋圆 as he prefers just the rice balls to be colourful, and doesn't have an over-powering yam taste. So, I guess it's individual preference. 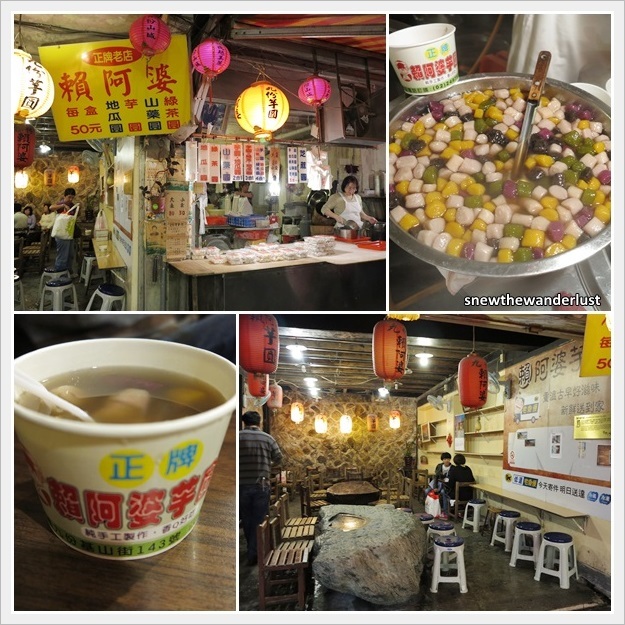 In anyway, Taro Rice Ball is now a signature street food in Jiufen. So, it's a MUST TRY! Top Row is Century Egg and Red Meat Dumpling 紅糟肉圓. Bottom Row showcase an assortment of Balls - Octopus Balls and Meat Balls. Snails anyone? I don't think this is escargot. We saw a shop selling braised 卤 dishes - an assortment of meat and vegetables. There were many people patronising this shop. When we walked passed it again during a Saturday morning, the queue was up to the steps. I wonder if it's really that good. For NT30 a dish, I guess this also partly explain the queue. Most of the shops at Jiufen close around 6+pm in the evening. Windsor's owner recommended a few tea houses - that opens till late. 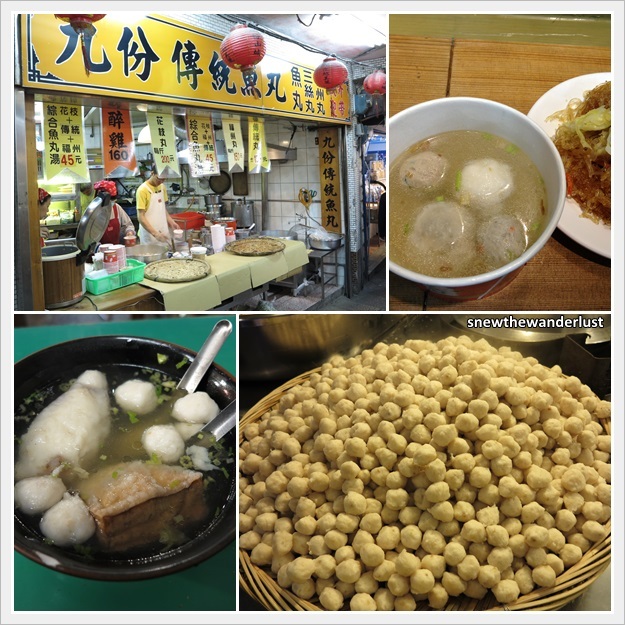 We choose the famous Ah Mei Tea House 阿妹茶楼 which is known for its crowd on weekends. A must-go place for Japanese tourists. The favourite spot for every photographer. Other than tea, the place also serves alcohol. I guess this is to cater to the Ang Moh tourists? I do really like the rustic interior decor. Well, I must say the food is not too bad. Can't complain since this is one of the few place that is open at night. I must agree with comments over the Internet that the prices are pretty steep. Averagely, the tea starts from NT500-NT1000. A touristy place that guests visit for tea appreciation with good seaview. But guess what? There's not much of a view at night. So, to us, it's one of the places of "been there, done that". We'll probably try the other tea houses the next time we visit Jiufen. Below are a few other interesting ones that we saw. I would really recommend visiting Jiufen to anyone who is going to Taipei. In fact, if you are able to spend at least one night there, it will be perfect. 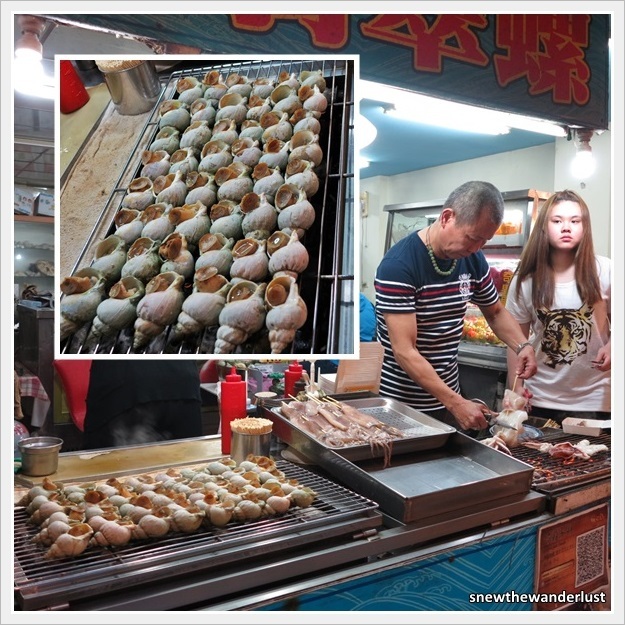 The rustic and nostalgic atmosphere would bring out the other side of New Taipei. THUMBS UP JIUFEN 九份!!! 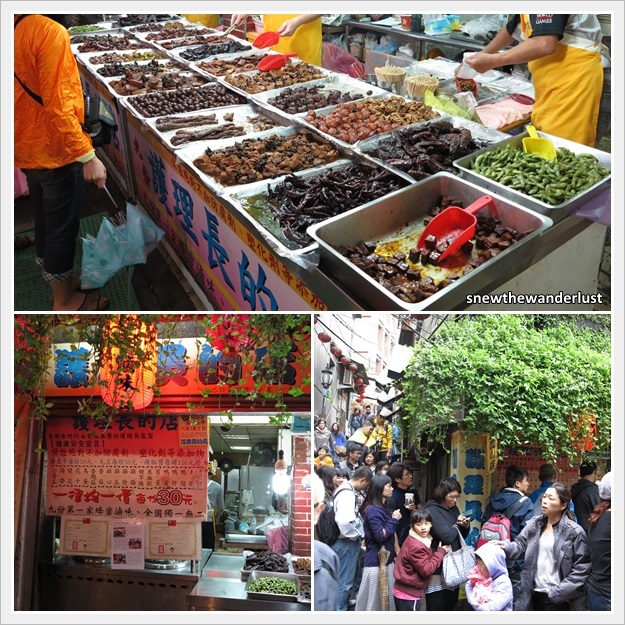 One thing to note, I would not recommend going to Jiufen on a weekend or holiday season. It's so crowded that you may not even get a seat up the bus, and you wouldn't want to squeeze through the crowd in the already narrow street. Would you?